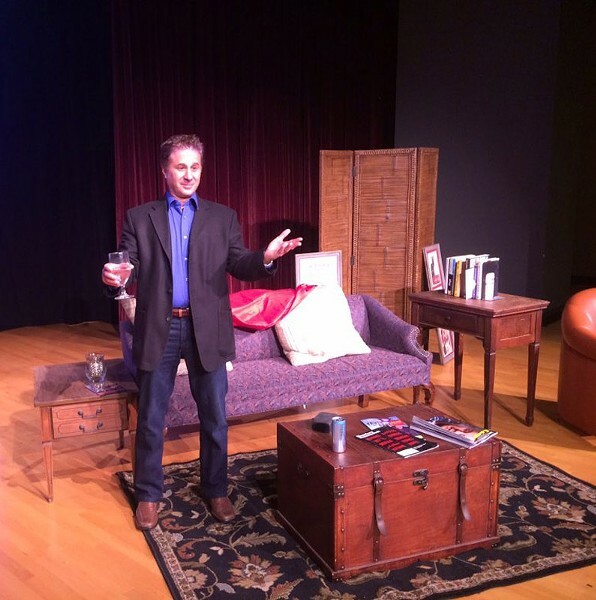 Downstairs Cabaret Theatre is presenting a three-week run of "Til Death Do Us Part...You First," an auto-biographical play written and performed by award-winning comedian, actor, playwright, and motivational speaker Peter J. Fogel. The story follows Fogel, who is afflicted by commitment issues. But sensing the encroachment of his own mortality, he decides to revisit and reconsider each of his romantic blunders — with the help of a Special Visitor (a mentor not unlike the ghost-guides in "A Christmas Carol") and multi-media elements to the solo show. "Til Death Do Us Part...You First!" continues through May 6 at Downstairs Cabaret Theatre, 20 Windsor Street. Performances take place Thursdays, April 26 and May 3, at 7 p.m.; Fridays, April 27 and May 4, at 8 p.m.; Saturdays, April 28 and May 5, at 4 p.m. and 8 p.m.; and Sundays, April 29 and May 6, at 3 p.m. Tickets are $30-33 general admission. 325-4370; downstairscabaret.com.